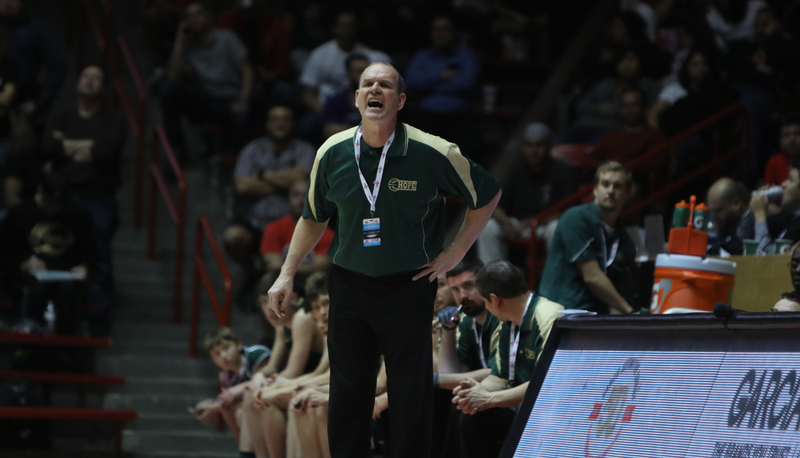 Jim Murphy is in his 37thyear of coaching basketball. 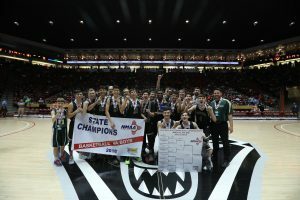 “My first year was with the girls and now 36 years with the boys,” said the Hope Christian head coach. Friday night the Hall of Famer will attempt to pick up career win #800 when his Huskies are at Highland. His consecutive games streak spans more than 1,000 games and counting. “My wife had an operation one time and I had someone else pick her up from the hospital because we had a game out in Rio Rancho and she still doesn’t let me forget that,” he joked. His raspy voice is now permanent after decades on the court. “Fernando Ortega was one of our teachers here years ago and he said, ‘You’re like Dr. Jekyll and Mr. Hyde. 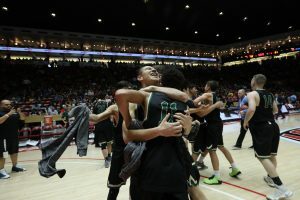 You’re Mr. Nice Guy in the classroom and then you get on the court yelling and screaming.’ I don’t know if that was a compliment or not,” Murphy joked. The next one on the schedule is at Highland High School Friday night.